← Design Your Own Fish Contest! Grumpy Cat Arrives in Webkinz World! The day is here! The official Grumpy Cat Webkinz™ pet is ready for your room! Pick up the plush at your favorite Webkinz retailer or get the virtual version at the Ganz eStore with a credit card. 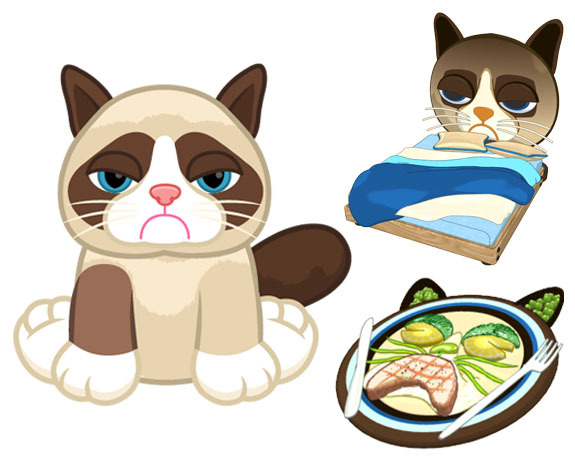 This darling downer comes with a Bad-Tempered Tuna food item and a Crotchety Cat Bed! 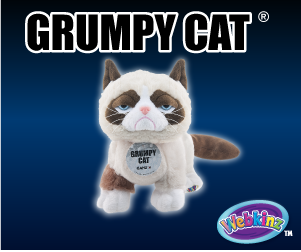 Visit the Ganz eStore for more details on how to add Grumpy Cat to your Webkinz family!